Yeah, that’s right… it’s a “WTF? !” post. Slightly delayed because I suddenly have no more free time and I haven’t figured out if I can blog at my desk at work yet. Probably not worth the risk. Anyway, so – I’m still here. Barely. I’ve kicked into dance training overdrive because 1) the studio is closing in 2 months and I want to spend every last cent I can before it does and 2) I got some wild idea that I should pull out of competitive ballroom retirement and head to the International Grand Ball in July. Oh yeah, I’m also still working at the studio and trying to have a kid. Nooooo… I’m not busy at all. My blood sugars do NOT like this activity overload. Every single class or lesson with my instructor I’ve had this week has either started, or ended, with me chugging a juice box. Or scarfing down chalk tablets glucose tablets. Yeah – even the Gluco-lift ones taste like crap after so many. And then they revolt by joining forces with my Dawn Effect and shoot my fasting blood sugars up to 170+. My docs aren’t going to like this one. 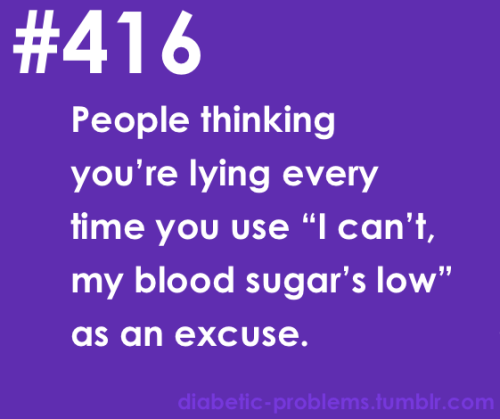 And I’m not all that eager to get my A1C checked because it’s not going to be an accurate representation of how I’m really doing. Name some other portable methods you use. In theory, ones that don’t require me to think during hypos (I’m not counting out 20 Skittles), ones that fit in my purse and won’t leak everywhere (hi honey and other syrupy substances…), and ones that won’t melt, spoil, etc. if exposed to the elements (our back office at the studio isn’t insulated). I use Starbursts to treat my lows, the tropical kind and 4 seem to do the trick without going too high. Someone suggested smarties recently cuz I’m getting sick of starbursts and with it getting hot I don’t want melting goop in my purse. I hadn’t tried smarties yet or even looked to see how many would be needed to treat a low.